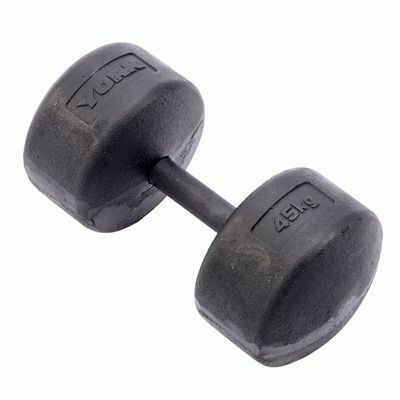 The York 45kg legacy dumbbell has a fully knurled, solid steel handle providing a thick 33mm (1.3") grip. The handle is hydraulically pressed to create fish-tail ends and a little shorter when compared to standard handles, which enables better control and bio-mechanically correct movements. This 45kg (99.2lbs) weight is a recreation of a dumbbell which was originally cast in York Barbell’s own foundry. It is sold as single. for submitting product review about York 45kg Legacy Dumbbell.